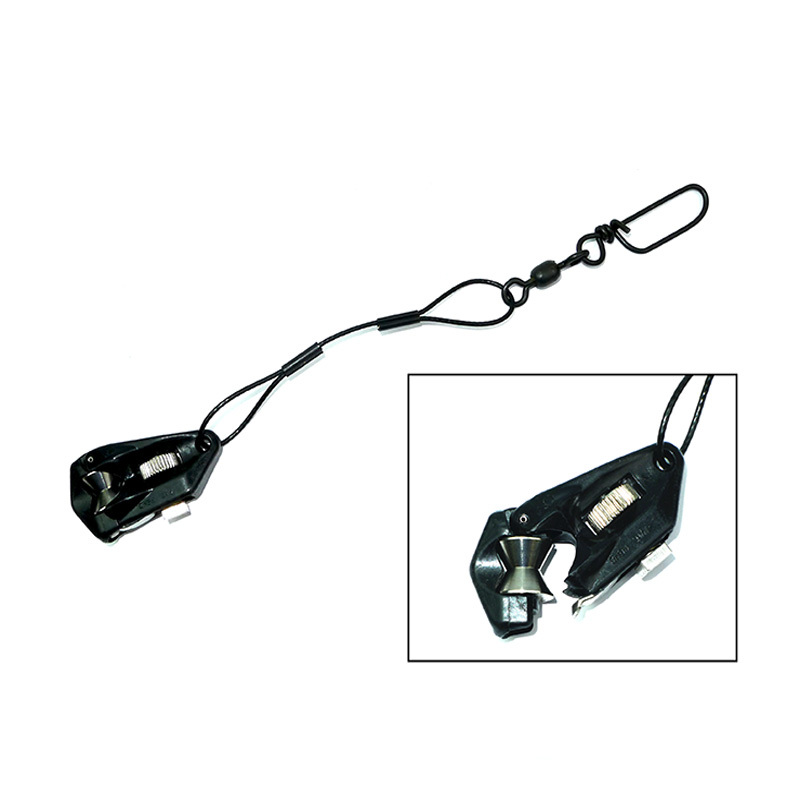 The AFTCO outrigger clip allows for the easy adjustment of trolling lures. Sorry, item(s) currently out of stock. Please call 01635 500399 for estimated delivery. 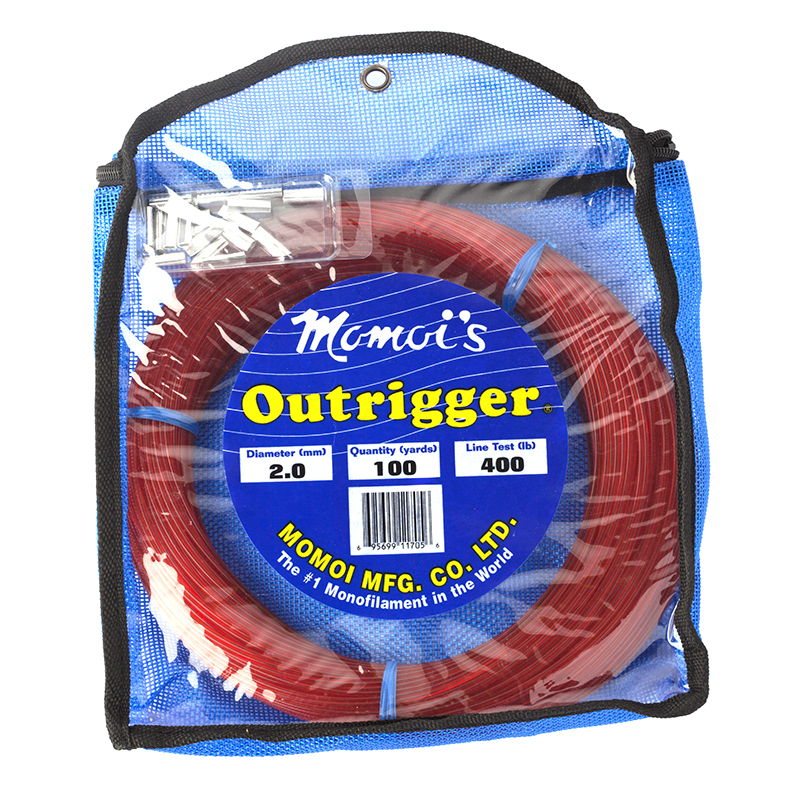 The AFTCO outrigger clip helps you position a trolling lure from an outrigger by simply reeling in or letting out line right through the clip. 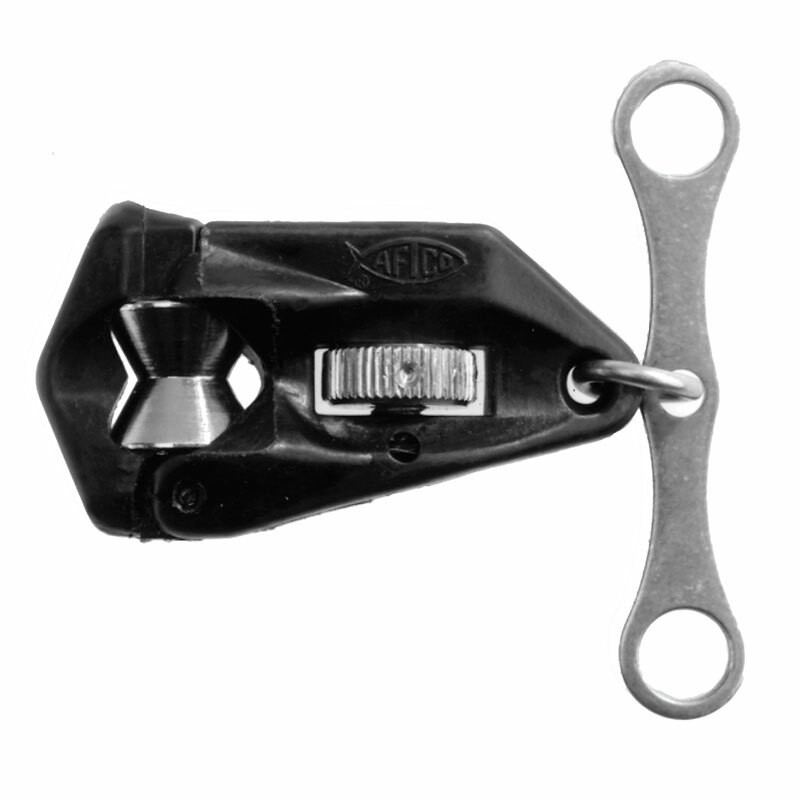 The clips tension adjustment is positive yet sensitive over a wide range of settings. Line runs smoothly over a polished stainless roller, reducing friction and wear. 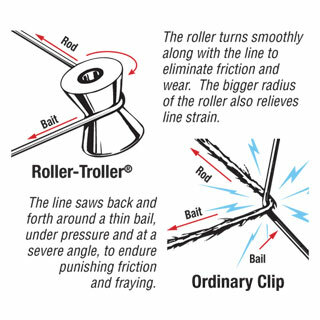 Featured is AFTCO's legendary "roller guide action," where trolling lines roll smoothly over a polished stainless steel roller that turns right WITH the line - virtually eliminating the friction and fraying associated with the back-and-forth "sawing" motion of lines running across thin wire bails of ordinary outrigger clips. Your line remains strong and ready to absorb the impact of a strike.